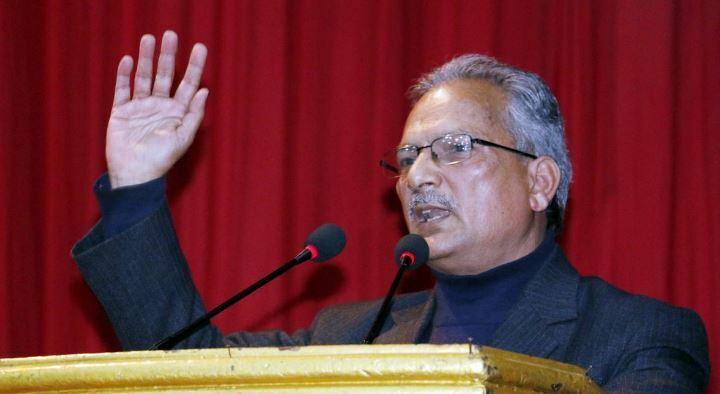 Pokhara – Coordinator of Naya Shakti Party Nepal Dr Baburam Bhattarai has said the budget unveiled by the government was traditional one thus cannot meet the state's expectations. At a news conference organized by Press Club Pokhara today, the former prime minister said the government's policy and programmes won't ensure economic revolution as the budget was just the continuity of the tradition. The government has not moved ahead to bring about changes in the country though it was needed to do so in 20 years, Bhattarai said. Dr Bhattarai added, "Private sector is not excited from the budget. There is no symptom of changes in education, health and agriculture sectors." Saying that the average per capita income in the world has reached 10,000 US dollars, Dr Bhattarai added that Nepal has to do revolution in industrial and agriculture sectors to obtain the world's average per capita income in 20 years.